Statistics don't lie. Don't be a statistic. In 2013, 3312 crashes involved teen drivers ages 16-20. Those crashes resulted in 35 fatalities. 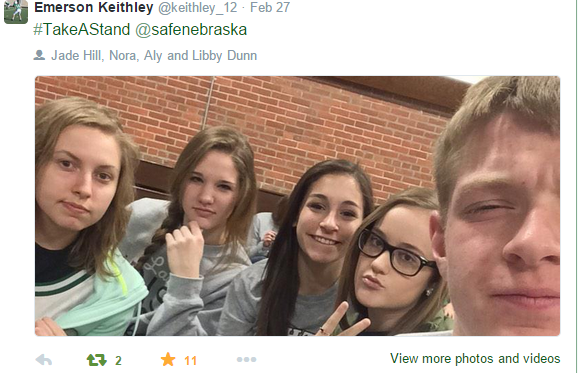 Of all Nebraska fatalities, 16.7% were teen/alcohol related. In 2012, an estimated $18,765,400 costs were incurred for alcohol related crashes involving teen drivers. Of the 1,140 children age 14 and younger killed in motor vehicle crashes, 16% occured in alcohol-impared crashes. The problem is real. Underage drinking and driving under the influence is a huge problem in our community. 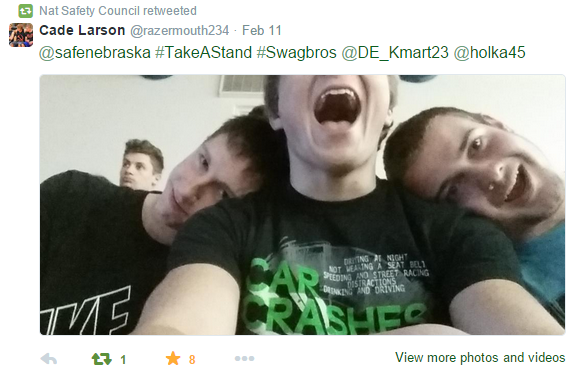 Smart Teens are Not Drinking (STAND) is a Nebraska program sponsored by the National Safety Council, Nebraska that educates teens about the dangers of underage drinking. The interactive presentation uses smart phone real time polling, videos, and an impaired driving simulator to engage with teens. 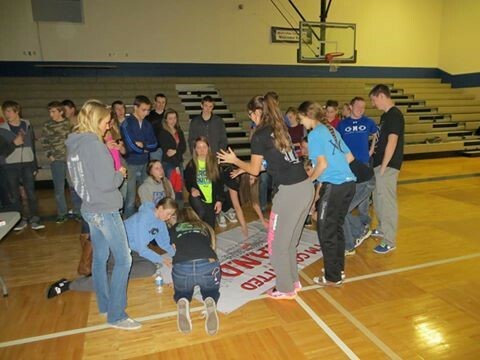 Students are asked to make a commitment to themselves and their friends that they will not drink or drive with someone who has been drinking. Kids are encouraged to post a selfie on social media making the commitment - #TakeAStand and also to sign a large vinyl sign showing their commitment. Schools proudly hang their sign as areminder of the student’s commitments. 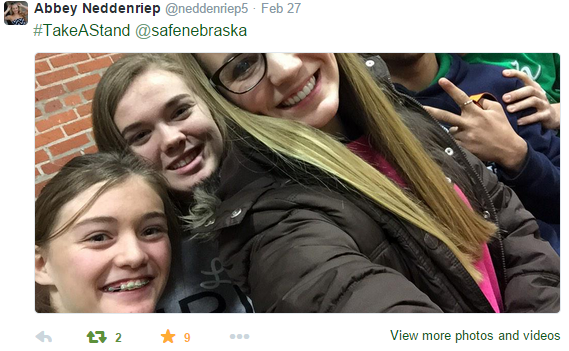 We would love to have the opportunity to meet with the students at your school. 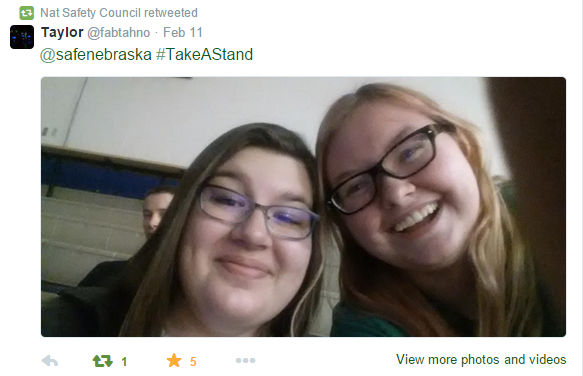 STAND is a free program targeting Nebraska middle and high school students. 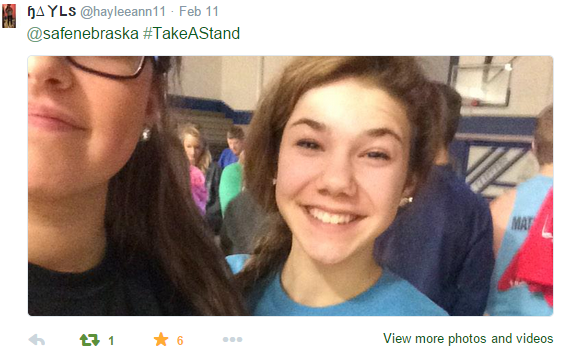 Let us help your students TAKE A STAND. The SMART program isn't just for teens; it's also for the adults. Providing alcohol to minors is never okay and it is against the law. Our certified drug and alcohol counselor can meet with your group or teachers during an in service to discuss the statistics, suggestions on how to recognize use and how to deal with the situation. Our message centers around the message: Adults: Don't Provide! Let us help your teachers/educators TAKE A STAND. For more information - contact us. We are here to help. 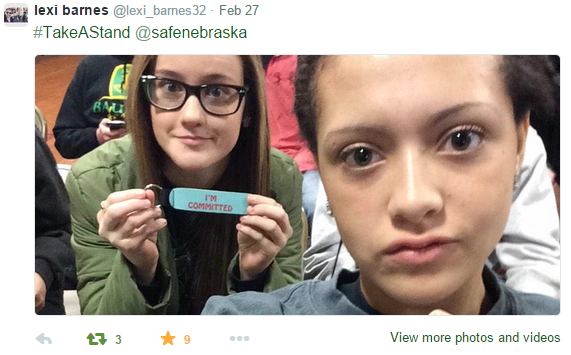 Teens across Nebraska have made the Commitment to Take a STAND. 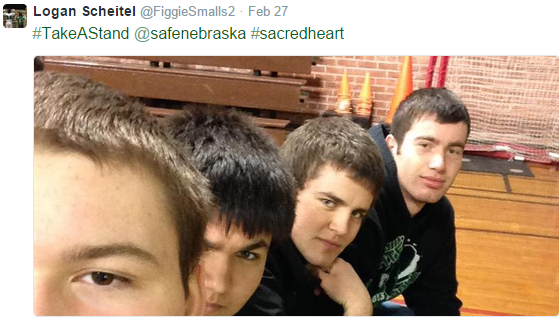 Here are some of their Selfies4STAND #TakeAStand @SafeNebraska.